DUE TO OUR SHIPPING REGULATIONS, WE CANNOT SHIP POOL COVERS OR POOL WINTERIZATION ITEMS INTERNATIONALLY. 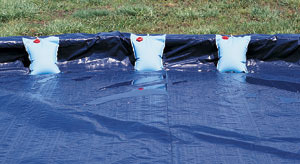 HOLD YOUR ABOVE GROUND POOL COVER DOWN, EVEN IN HIGH WINDS! 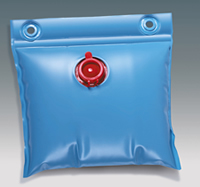 How many wall bags do I need for my Pool?